Tammi Sweet feels like a tree amongst the flowers. 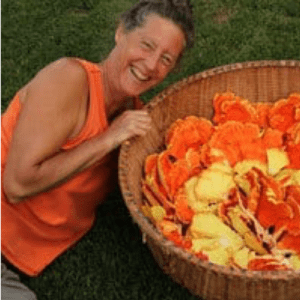 Twenty years ago a friend brought her to the Northeast Women’s Herbal Gathering and it was there she found her community of people who love plants. In this interview she shares her journey as a seeker of spirit which first brought her into devout catholicism, but when she stopped seeing god in the church she left into the pine barrens and moved closer to the plant world. For Tammi, it’s all about helping people rebuild their relationship with the natural world.